Made from beautiful American walnut curl or crotch veneer. 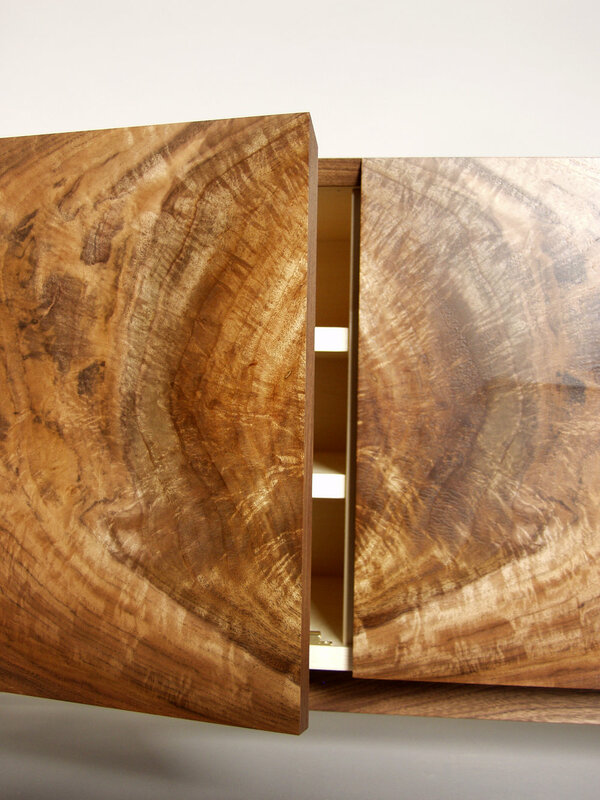 The cabinet features mitred joints and doors all around to give a seamless appearance. The leaves of veneer are book-matched on the top and on the doors to create a fascinating and intriguing design. Internally, the cabinet has three hand dovetailed drawers and a single adjustable wooden shelf, and is designed as either a dining room storage cabinet or an audio/visual cabinet. 120cm wide x 75cm high x 38cm deep. 2016.